LFTR stands for liquid fluoride thorium reactor. LFTRs are an example of both generation IV reactors – in other words, future nuclear reactors which prioritise safety and reduction of waste products but which are still in the design/experimental phase – and molten salt reactors. MSRs, and by inference LFTRs, use a radically different design to current generation II/III pressurised water reactors: they are cooled by molten salt rather than water, and they can also use a molten fuel source. This has a number of potential advantages, but first we’ll deal with the how. Molten salt is… well, it’s molten salt, is what it is. Very hot salt – up to 700oC — that has melted and is now a liquid. Since it’s a liquid, it can be pumped around a reactor just like water in the pressurised water reactor design, but with a couple of key differences. First, because it’s molten at much higher temperatures than those at which water boils into steam, it consequently has a much lower vapour pressure as it flows around the reactor. Those steam explosions I was talking about that happen in pretty much every single nuclear reactor disaster? Those wouldn’t happen in a molten-salt cooled reactor because the salt isn’t under enough pressure to cause a catastrophic explosion – after all, if the pressure of the salt inside the reactor is near the atmospheric pressure outside the reactor, then it’s not going to have to do much to equalise in the event of a coolant breach and the bang it makes is going to be very, very small. The tradeoff is that you have to build your reactor to cope with a lot of high-temperature salt which is both hot and corrosive, but since steam explosions are such a big threat to reactors this is probably worth it. 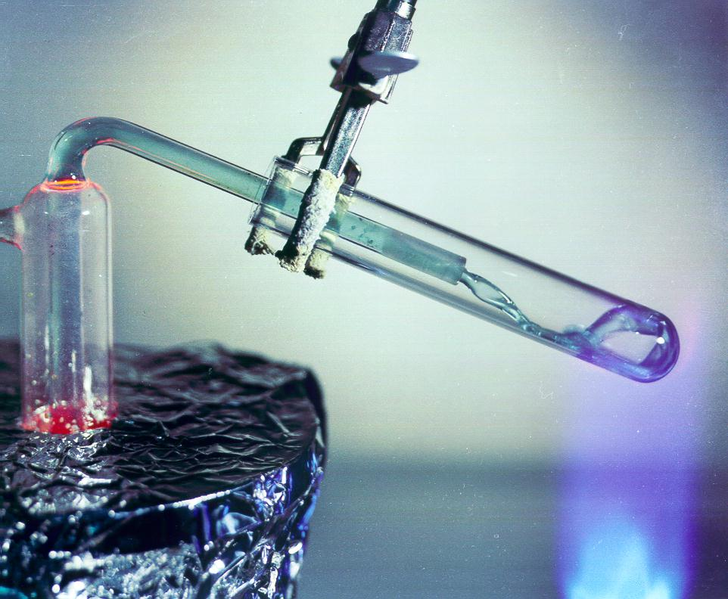 The second thing about molten salt is that it’s much better at cooling reactor cores because it can absorb an absolute shitload of heat. This means you need less coolant, which in turn means you can make your reactor smaller, which in turn means that molten salt reactors could potentially be small enough to power an aircraft – or a spaceship. This is probably the primary attraction of the molten salt design, and it’s telling that it was first investigated as a method of nuclear propulsion for aircraft. Now, as far as LFTR reactors in particular are concerned the reason they’re of interest is because they use the thorium fuel cycle to breed fissile U-233 out of fertile Th-232. The way this happens is a little complex and I don’t feel I have an adequate enough grasp of the process to attempt describing it here, but it’s similar to the way you can breed fissile Pu-239 out of fertile U-238 by bombarding it with fast neutrons. Heavy water reactors like the CANDU design (which is basically a safer version of Chernobyl) do exactly this, generating additional power by using fast neutrons to trigger fission in U-238 and converting it to Pu-239, which itself can then fission to produce more power, but the CANDU design isn’t set up to primarily breed more fissile fuel. It’s just a useful byproduct. Breeder reactors could potentially be very useful in the future as they would allow us to get at the potential power contained within the 99.3% of natural uranium that happens to be the fertile U-238 isotope; however, at the moment it’s cheaper to just enrich the percentage of U-235 and generate power the old-fashioned way. That’s going to change in the future as the U-235 starts to run out, though. Anyway, what’s this got to do with thorium? Thorium can also be converted into a fissile fuel – U-233 – but there’s about four times more thorium to be found in the Earth’s crust as uranium, so potentially thorium could provide us with power for just about as long as the human race survives. Additionally you don’t need fast neutrons to breed U-233 from thorium; you can use a regular thermal reactor design instead. In the case of the LFTR design the liquid fluoride is both the coolant and the core material, separated into three loops. The first loop is seeded with fertile thorium and the loop is structured so that as it passes through the reactor core it creates an artificial zone of critical mass, heating up the molten salt. The first loop dumps this heat by exchanging heat with the second loop, which contains ordinary non-radioactive molten salt, and which then transfers that heat to the third loop which is the usual water-steam-turbine one. Thorium is attractive not only because there’s so much more of it than uranium, but because the harmful byproducts produced by the thorium cycle are, in theory, far less in quantity. As for the advantages/disadvantages thing, you’re best off looking at Wikipedia’s summary of advantages and design challenges, but keep in mind that this bears a few hallmarks of having been written by an advocate of LTFR technology so it may not be entirely free of bias. Anyway, you asked me what the biggest obstacles holding it back are, and I think by far the most significant ones are that nobody’s done any practical work on molten salt reactors since the 1960s. Nobody has ever built a working LFTR reactor. The theory and the physics behind it is all perfectly sound, but I suspect that the actual design and development process will throw up additional problems that require money to be overcome, and that this will render the LFTR energy generation process less economically viable to kickstart. It’s a good idea, but it’s a good idea in the same way that mining the asteroids is a good idea: it has the potential for huge returns, but it requires a significant investment that will not see results for decades which makes it rather unattractive in our current ultra-capitalist economy. Oh, and would it be cost effective to put LTFRs in space? That’s an interesting question. You may have seen references to certain probes and spacecraft like the Voyagers and the Apollo lunar landers being nuclear-powered, but all this means is that they’re carrying radioactive thermoisotope generators which generate power by converting heat from the natural decay of radioactive isotopes into electricity via thermocouples. Nuclear propelled rockets have been investigated but nothing ever came of it; however that was because NERVA was intended to power spacecraft making repeated trips to the Moon or to Mars. Most spacecraft just go up to LEO or GEO and radioisotope generators are perfectly adequate for powering the more long-range stuff, but if we ever decided to do interplanetary travel in any kind of sustained fashion – like an interplanetary bulk hauler or something – then I think people would get interested in both NERVA and MSR/LTFR technology pretty damn quick. Hey, thank you for these reactor posts. It’s clear that you spend a lot of time and effort putting these all together and I really do appreciate it. Every one of them was an excellent read and some of the others I’ve pointed to your blog agree. Anyways, if these questions subtracted from your sanity over the past several weeks, I apologize. Eek! You’d think that scientific curiosity would be more than enough to build one of these reactors! Everything I have read about LFTR is amazes me that we don’t have it already. For some reason it just hasn’t caught on, which is sad. On the other hand I have seen reports that show China is actively trying to gather any an all information on not only LFTR but all MSR technology. Maybe this will trigger an energy race, we can only hope. As a general rule I’m suspicious of stuff like this which seems too good to be true, but I can’t really see any holes in the theory. I can only assume that, kind of like fusion reactors, there’s a significant engineering barrier to be overcome before it’ll be viable. But the thing with engineering barriers is that they are generally surmountable with enough money. Hence me saying that with enough investment this could pay off in a few decades. Just, you know, probably not now. Oak Ridge National Lab who developed this tech for the US in the 1960s is now giving it to China. This PARTNERSHIP? with China suggests that the U.S. acknowledges a possible role for thorium in its energy future. What’s not clear is what, exactly, the U.S. will get from the collaboration. Looks like Westinghouse(owned by Toshiba) is jumping in. Everyone needs to educate themselves: Thorium is energy emancipation for the next 1000 years. 1) Mine 3,200,000 tonnes of coal – emit 8,500,000 tonnes of greenhouse gases and particulates – landfill 900,000 cubic metres of toxic/radioactive fly-ash. 2) Mine 50,000 tonnes of uranium ore – emit no greenhouse gases – produce 24 tonnes of radiotoxic ‘waste’. 3) Mine 50 tonnes of equivalent thorium ore – emit no greenhouse gases – produce 0.8 tonnes of short lived radiotoxic ‘waste’. Perhaps, but so is fusion, and tidal, and about a zillion other energy sources which all have their advocates. Thorium’s certainly promising; however, I’m not going to start calling it the saviour of the global energy market when we don’t even have a working example of an LFTR reactor. What freed the slaves was not the Civil War. It was the internal combustion engine which made human labor obsolete. Thorium has 1 million times the energy density of fossil fuels. Energy from coal is $0.05/kw, thorium would be $0.03/kw in a Molten Salt Reactor. A MSR ran successfully for 5 years in the 60s. A Thorium version was designed but never built thanks to Pres Nixon and a fast breeder program that was to produce weapons grade material. Energy from Thorium gives China and India a path to development without suffocating the planet. Thorium in a MSR gives us an inexpensive backbone for intermittent energy like wind, solar, and waves. It gives us time to figure out non trivial problems with fusion. Your Singularityweblog is currenly not very freindly and should do be open if you like your PC. Mining uranium or thorium still requires powered mining equipment. To build and operate this mining equipment you’re gonna have some fossil fuel pollution, some chemical pollution. It’s much better than coal but to say “emit no greenhouse gases” is going too far. They power aircraft carriers and submarines with conventional nuclear reactors. Since thorium reactors are smaller, they could conceivably power the larger pieces of mining machinery. Smaller devices could harness the power of FUTURE BATTERIES. Besides, thorium gives off so much energy per gram that the amount of mining you need to perform would be really small compared to fossil fuel mining, even if humans became gluttonous and doubled or tripled their energy demands.